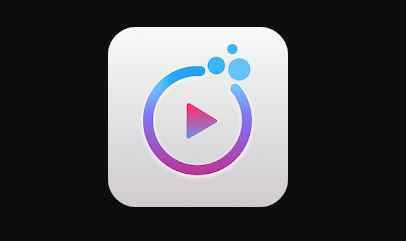 TikTok Formerly Musically has become one of the best apps to share your creativity in just a few seconds using the short Videos. Vigo App has also provided the same platforms to show your weird talent using 15-30 seconds videos. Now BB Clip App is here to give the same stage to prove that you are awesome to act on various dubsmash videos. As per promotional offer to get the boost from audiences they have introduced BB Clip Refer Earn PayTM Cash. Where in BB Clip you can earn 10 Rs. Per Referral paytm cash. If you are ready to earn Free PayTM Cash by Refer & Earn then you can use this "BB Clip" app and Start Referring this App to your friends. Once they'll installed and log in on this app you'll instantly get the Referral Bonus of 10 Rupees PayTM cash. Moreover, of this Refer Earn option, you can use their Video uploading platform where you can earn sound PayTM cash by uploading your creative videos on BB Clip App and can earn from your BB Clip Videos. Use the BB Clip and Show your extreme talent on this App. Upload your most funny, dubsmash, jokes, bauaa dub videos etc and get extra chance to earn more PayTM Cash from BB Clip App. As per their offer you can earn daily up to 300 PayTM Cash. On the BB-Clip App, there are lots of challenge videos are available. You can take part in their daily challenge videos and can use those videos to make an awesome short video. On BB-Clip App, you can find Indian Element Music & AI Filter that you can use to create your videos. How To Refer & Earn on BB-Clip App & Get 10 Rs. PayTM Cash? First of all Download the BB-Clip App - Download. Now Open the App, Skip the Introductory Part & go to Dashboard. After that Click on the RS. Icon from the upper right corner. Click on Sign Up Option, Enter Your Number, Password, Verify OTP. Now Login Again Using Same Mobile Number and Click on Share option. You'll get a POP-UP option to Share or Invite click on it & start sharing. Share your Referral Link to your Friends & ask them to register on the App. 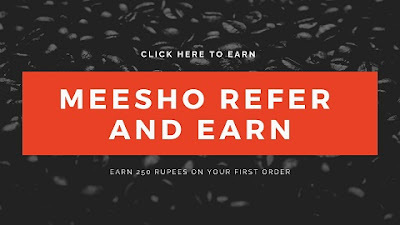 You can earn 10 Rs PayTM Cash Per Referral. Go to the RS Icon and there you'll see Withdraw Option. You can Redeem into your PayTM Wallet. Your friend must have never downloaded a BB-Clip APP before. As long as you have downloaded the BB-Clip APP on a device, it is considered an old user and cannot be rewarded. After obtaining the cash reward, you can go to the profile homepage to withdraw cash. The activity begins on the date of publication and the company announces the end date of the activity. Cheating is prohibited and can cause account block law sue. The final interpretation is given by BB-Clip. Any questions please contact BB-Clip customer care service by BB-Clip Facebook group, Facebook group: BB-Clip Customer Service. Only Paytm account is acceptable for payment. The payment will be completed in 5 working days. The user can withdraw the balance once in 3 days. Phone numbers and Paytm account info is mandatory to be submitted by the users. Until balance reaches Rs. 100.00 user can withdraw money. The amount of cash withdraw should not be less than 100.00 Rs. In the post above we have discussed BB-Clip App where you can download the app from the link given above and can earn PayTM Cash. You can either earn PayTM Cash by Referring this BB-Clip App to your friends or you can upload your Short Videos on the App Like Vigo App or Tik-Tok App.